The pursuit of optimal fitness. High intensity, camaraderie and competition give you the motivation to achieve results you never imagined possible. 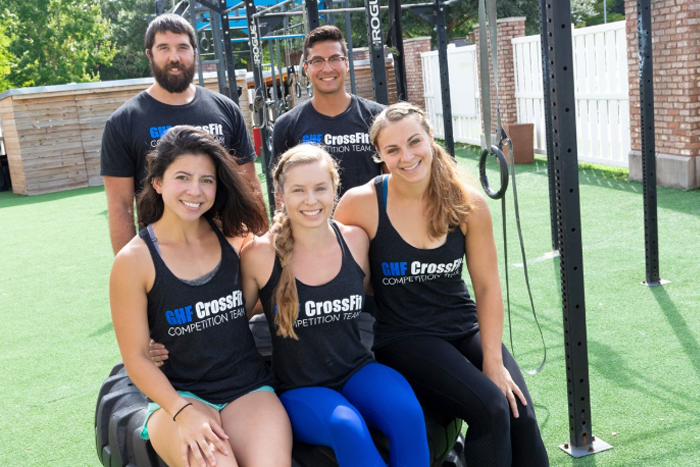 GHF CrossFit is now open to the community. You do not have to be a GHF member to enroll. 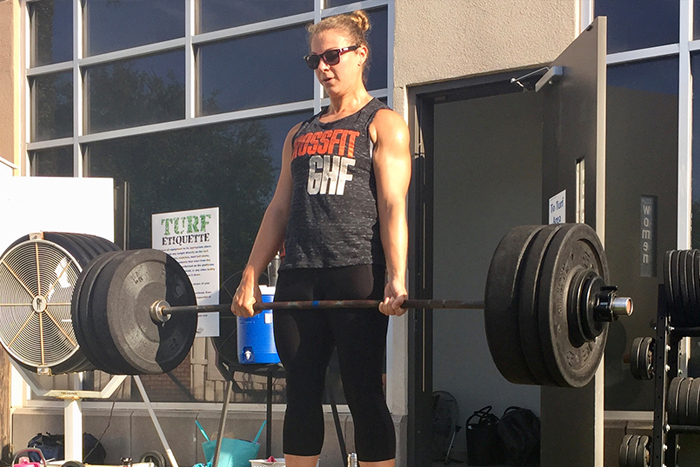 What Makes GHF CrossFit Different? Every coach is a nationally certified personal trainer with the highest levels of knowledge and expertise – to get your personal best results in the safest way. We specialize in helping new CrossFit participants get started. Want to see what CrossFit is all about? 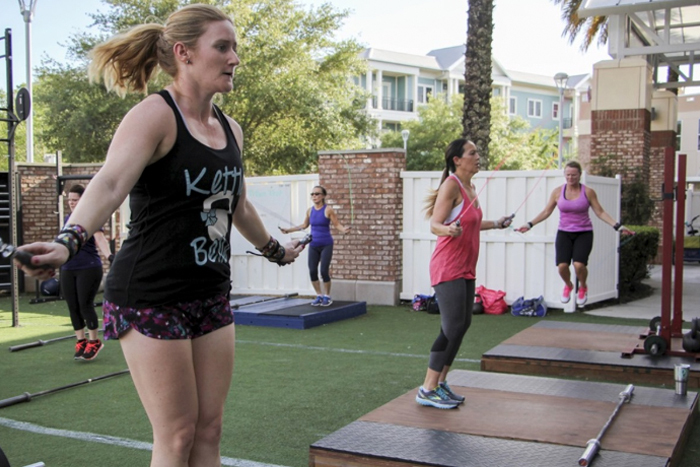 Try a free trial class and one of our coaches will guide you through a CrossFit workout. Introduction: We'll learn about your goals, current workout regimen, and any injuries or pre-existing conditions you may have. Warm-up: A brief of easy movements to get you warm and prepared to do work. Mobility: Stretches and exercises to ensure you're able to maintain safe, sound positions. Exercise Review: Moving safely and effectively is always our top goal and you will be led through a few different exercises to check your form. WOD: WOD stands for Workout Of The Day - it's the part of CrossFit that you usually hear about. CrossFit WODs are typically performed in a circuit style format, where you move from one exercise to another with minimal or no rest in between. We'll give you a WOD to meet your current fitness level and we'll encourage you to do your best, rest assured there will be no pressure to over-do it. Your GHF CrossFit Coaches are experts in the field and are trained to get you to the next level of personal best safely. Cool-down: A few finishing stretches to bring your heart rate back down in a safe manner. You'll also have the opportunity to ask any questions you may have. Make sure to bring a water bottle and a towel to your CrossFit trial class. Wear comfortable gym attire and shoes, and check in at the lobby desk before heading out to the CrossFit Turf. GHF CrossFit brings you a brand NEW High-Intensity Interval Training Class focused on metabolic conditioning in a fun group environment. This class is for all fitness levels and beginners are welcome! Peak Conditioning will include bodyweight movements, dumbbells, kettlebells, and conditioning exercises. You will get the benefits of metabolic conditioning and strength training without barbell movements. 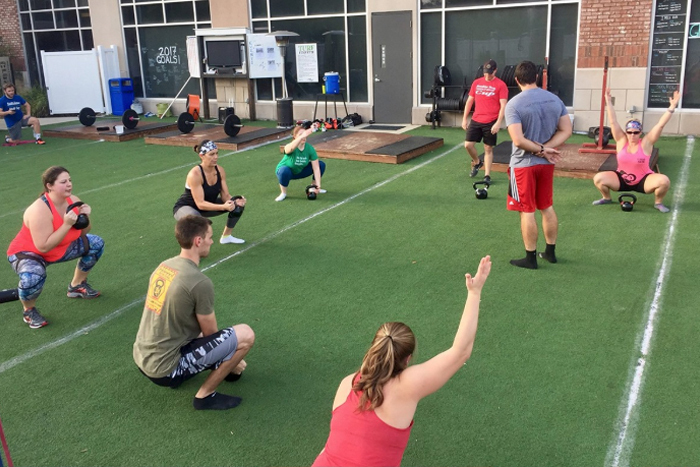 Classes will be held Mondays, Wednesdays at 6:00 pm and Saturday at 9:00am on the CrossFit turf. GHF CrossFit offers a private one-of-a-kind 3-week Fundamentals course for those new to the sport. 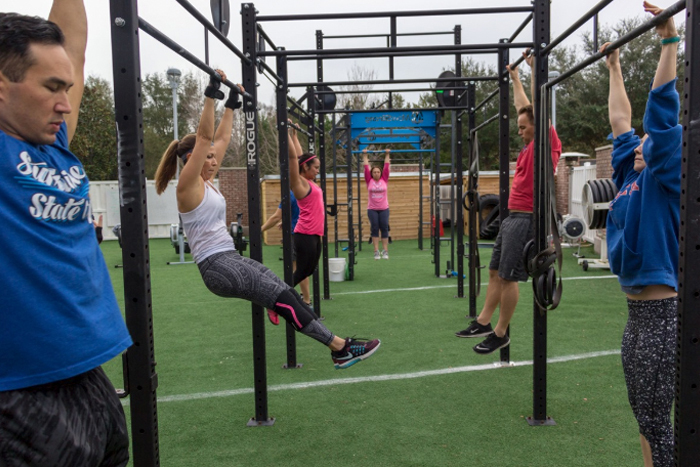 Learn the fundamentals of CrossFit with private training sessions on the turf. 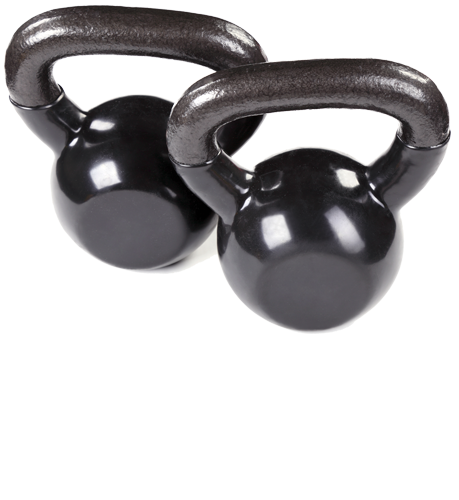 The workouts are comprised of movements common to CrossFit (Kettlebell Swings, Wall Balls, Burpees, Ball Slams, and Pull-Ups). 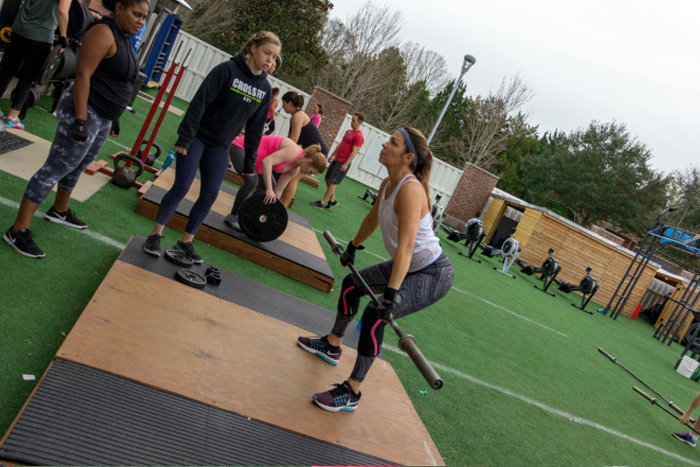 The Strength class, offered by GHF CrossFit, focuses on improving strength through barbell lifts. 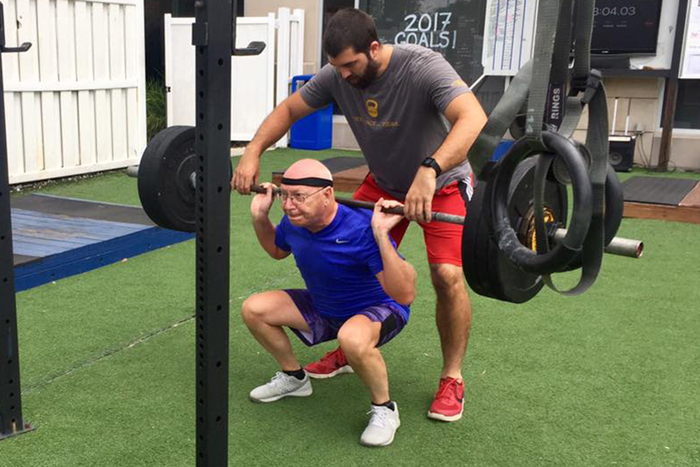 The program centers around squatting, deadlifting, and pressing, with different variations throughout the week and for those that qualify, there are Olympic lifting variations included. The Crossfit coaches assist members with tracking their numbers and over time can provide programmed weights to limit guesswork by the members. 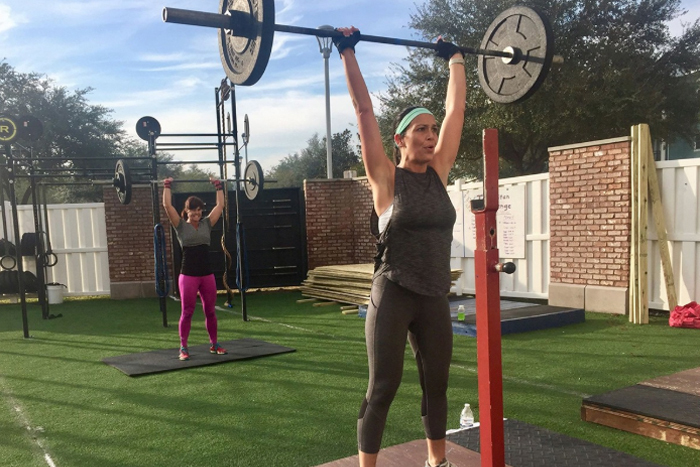 This is an excellent class for members that are looking for a dedicated strength program or those looking to add extra strength work into their current program. Held on the CrossFit turf. 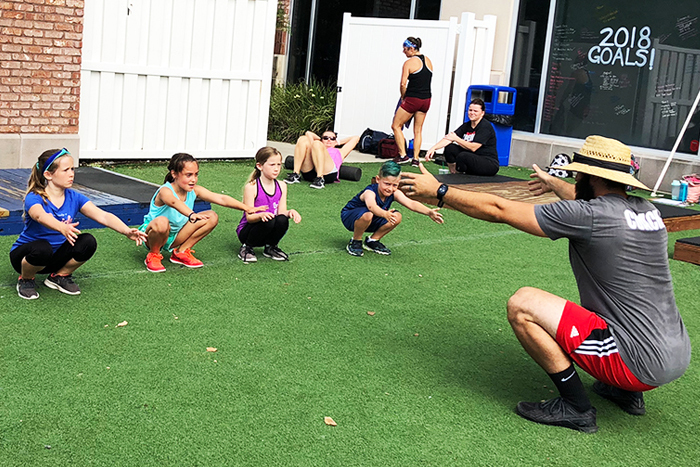 This class is designed to prepare young people to perform proper movement and create healthy habits for their future. Participants will learn to prioritize form and gain more control and awareness of their body within a fun group environment. GHF CrossFit is now open to the community. You do not have to be a GHF Member to enroll in CrossFit. To try CrossFit for free, sign up for a CrossFit program or class, fill out this form, and we will contact you soon.